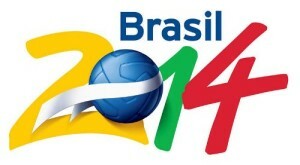 The knockout stages for the 2014 World Cup are here along with my predictions for the remainder of the tournament. The round of 16 matches start this Saturday, June 18 with the first game kickoff at 12pm ET. In the knockout rounds there are now just 16 out of the original 32 teams left. The round of 16 matches feature several interesting matchups including six teams from Europe, five teams from South America, three from North/Central America, and two from Africa. Unfortunately there are no teams left from Asia. In total there are 8 teams from the Americas left. 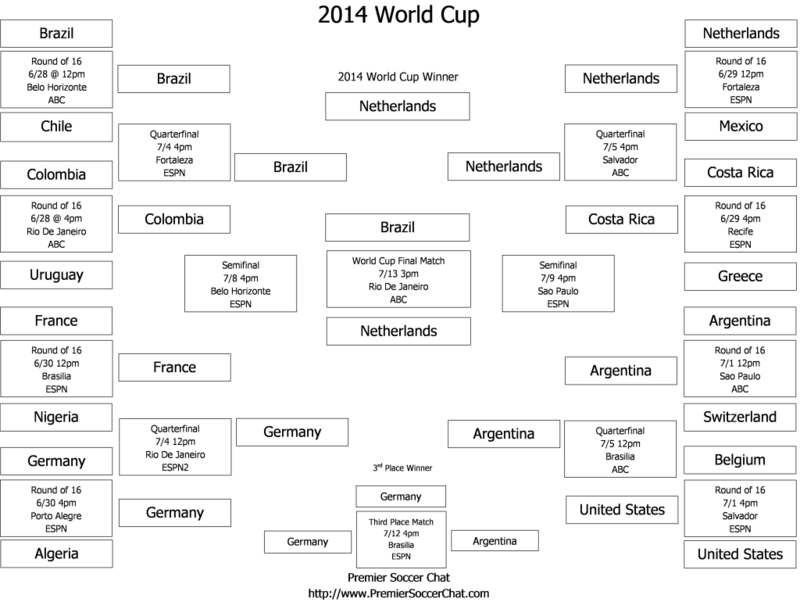 You can also go print out the most recent World Cup Knockout Round Predictions Bracket to complete on your own. For my predictions in the knockout rounds I’m going bold. Every team has shown some amount of fragility to go along with their strengths. To get this far they have all had to overcome some sort of obstacle and every team has a shot at advancing further into the tournament considering that each match is a one off. At every stage each team has a chance to catch their opponent at their weakest and capitalize on a mistake that could turn the tide. 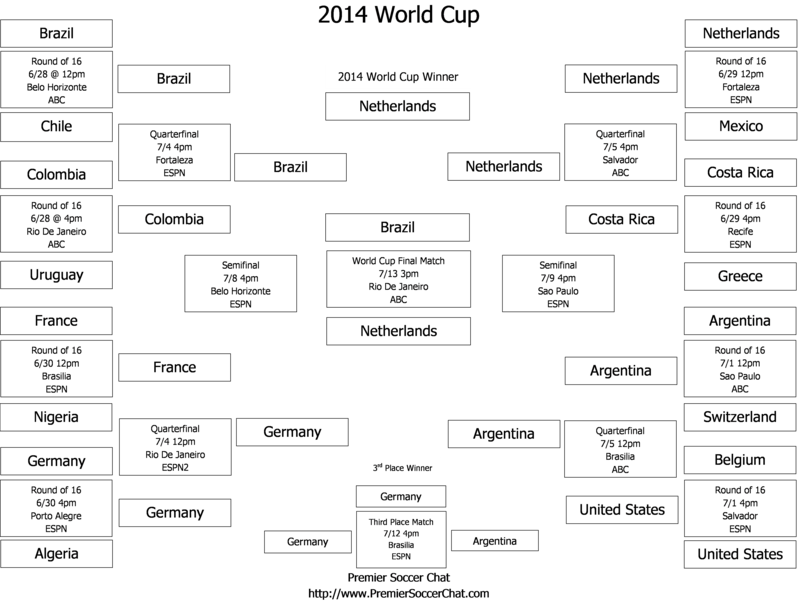 Check out the graphic below for my predictions in the knockout stages of the 2014 World Cup.